Embark on a unique exploration of the Peak District one on one of our foraging weekends. We are giving guests the chance to enjoy The Peacock’s surroundings with a unique Peak District foraging expedition. 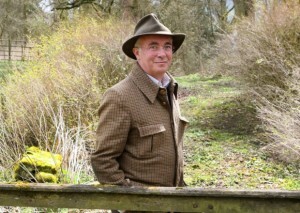 Led by renowned author, botanist and TV personality Dr Patrick Harding, guests will discover the sights, smells and tastes of one of the finest areas of countryside in the UK. We recently journeyed out to Haddon Hall where we took in the local flora and fauna, whilst foraging for edible plant life, much of which is used in the hotel’s kitchen. We found a variety of different plants including sorrel, ground ivy, elder, wild arum and feverfew to name but a handful. 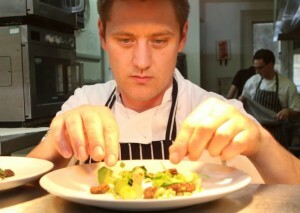 Arriving back at the hotel, our head chef, Dan Smith had prepared a wonderful 3 course meal. To start, poached pheasant egg, Wye Valley asparagus, morel, hazelnut and wild garlic. 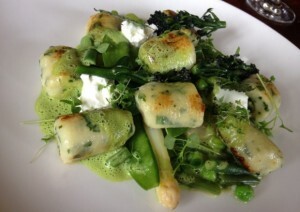 The main course consisted of wild garlic gnocchi, salt-baked kohlrabi, spring vegetables, goats curd and a nettle veloute. Lemon parfait, meringue, lemon and olive oil cake & mint ice cream followed for desert.